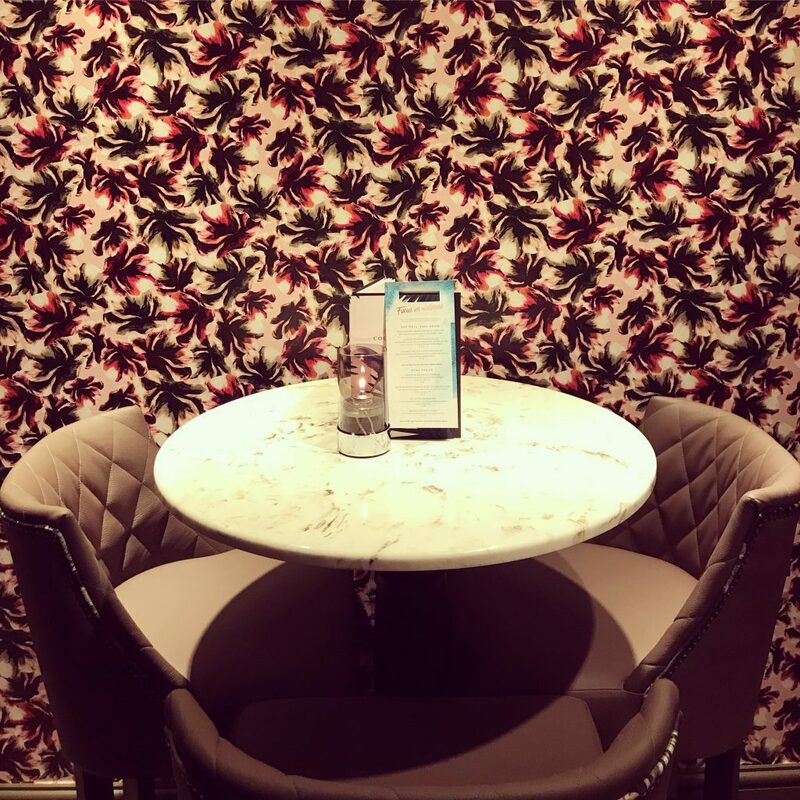 When I received an invitation to attend its re-opening, I was keen to say yes, even more so when I realised I could take friends with me and would be treated to a complimentary three course meal with drinks in exchange for a blog post. The Deer Park’s refurbishment is excellent. It’s been done out really well. 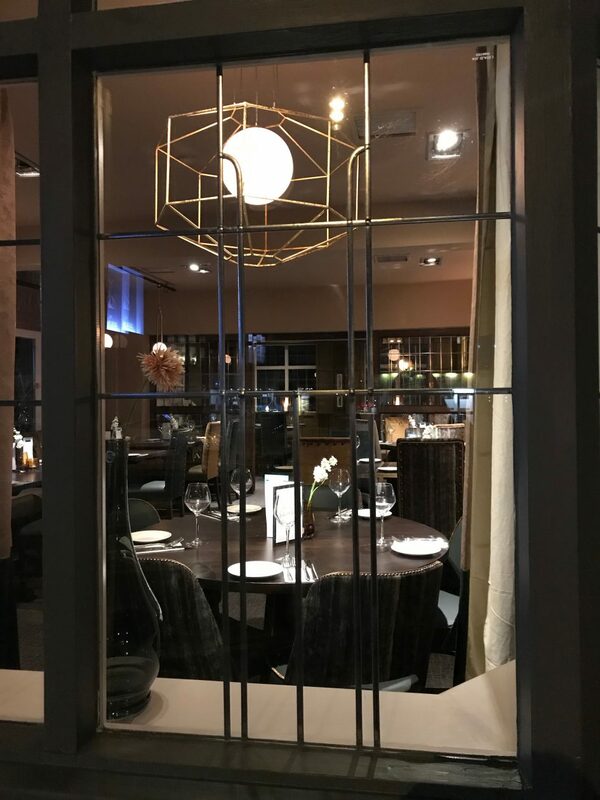 The designer has managed to get the balance right between being something special for date night, but also a cosy pub for family occasions. It’s also very “instagrammable” (I know it should be substance over style, but us millennials are all about the pretty filters and the hashtags!) 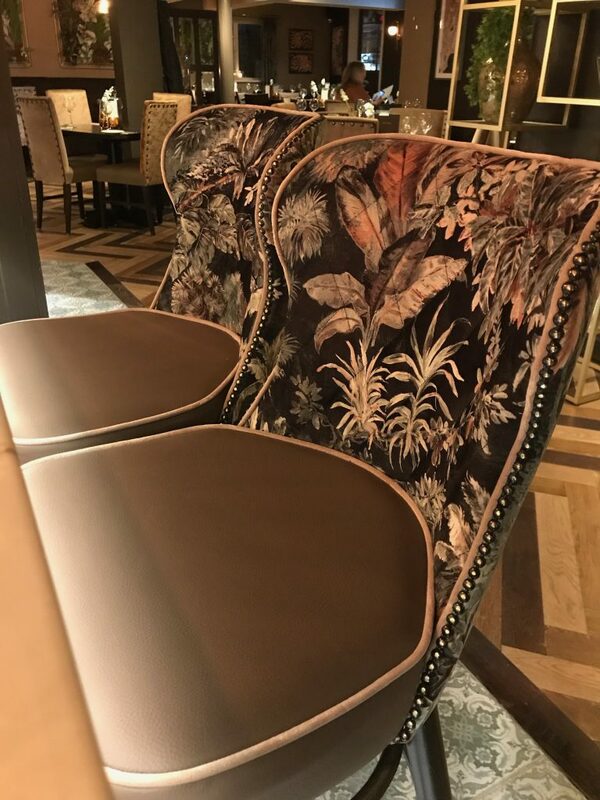 There’s patterned fabrics and wallpaper, gorgeous light fittings and eye-catching touches such as fruit in vases (I’ve watched enough interior design shows to know it’s all about adding that “pop” of colour). Just look at that wallpaper! I went with my friends Kirsty and Charlotte (I knew they wouldn’t say no to free food) and between the three of us, we managed to get through a lot on both the drinks and food menus. I was going to drive, but then Kirsty and Charlotte pointed out that to do a thorough review I should probably taste the boozey drinks too. Turns out I’m very easily swayed and ended up getting a taxi in. 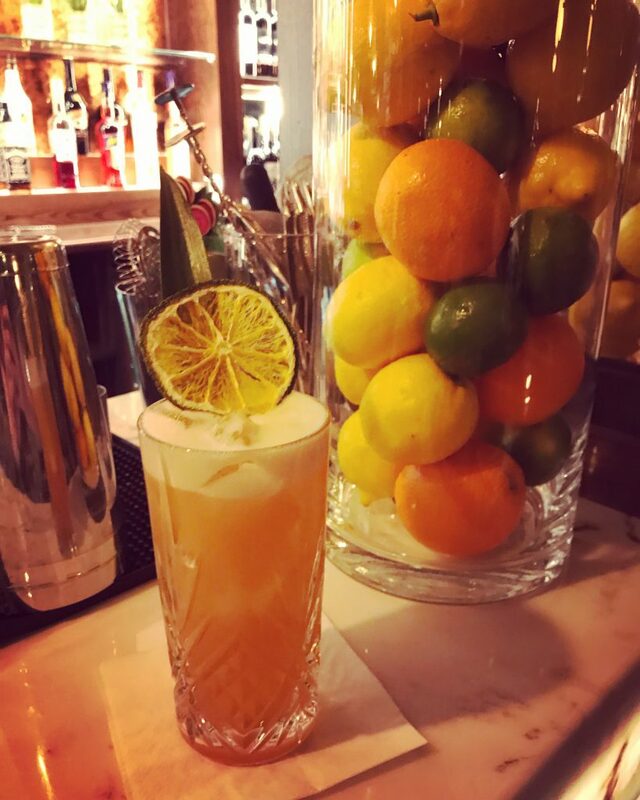 It was worth it as I’ve found a new favourite cocktail. 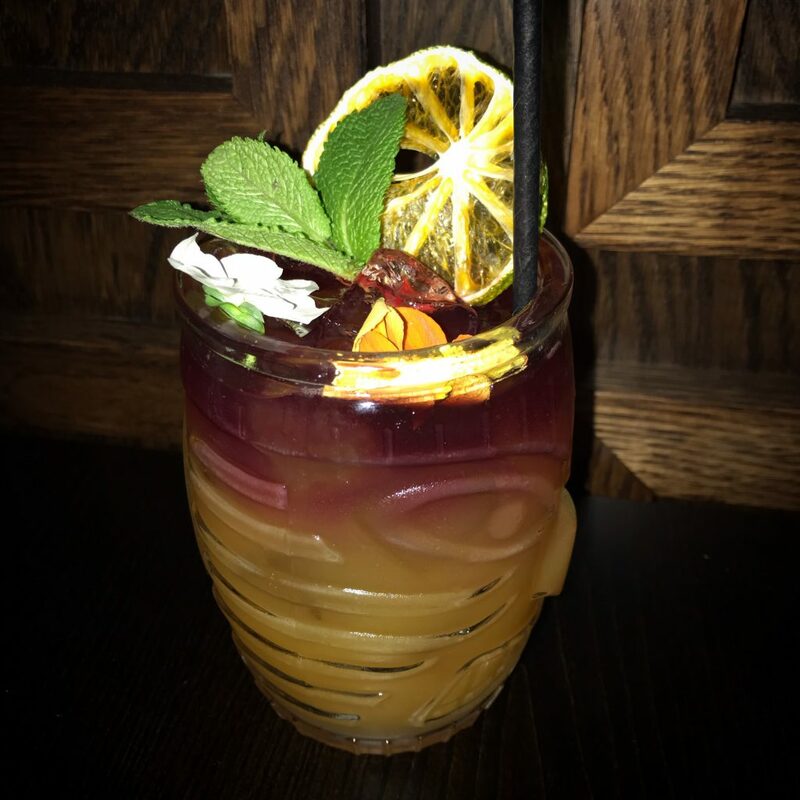 After trying a Mai Tai first (a holiday staple) I then had a Sailor’s Heavy Punch – Sailor Jerry’s rum, a splash of red wine, pineapple and lime juice and almond syrup. Amazing! 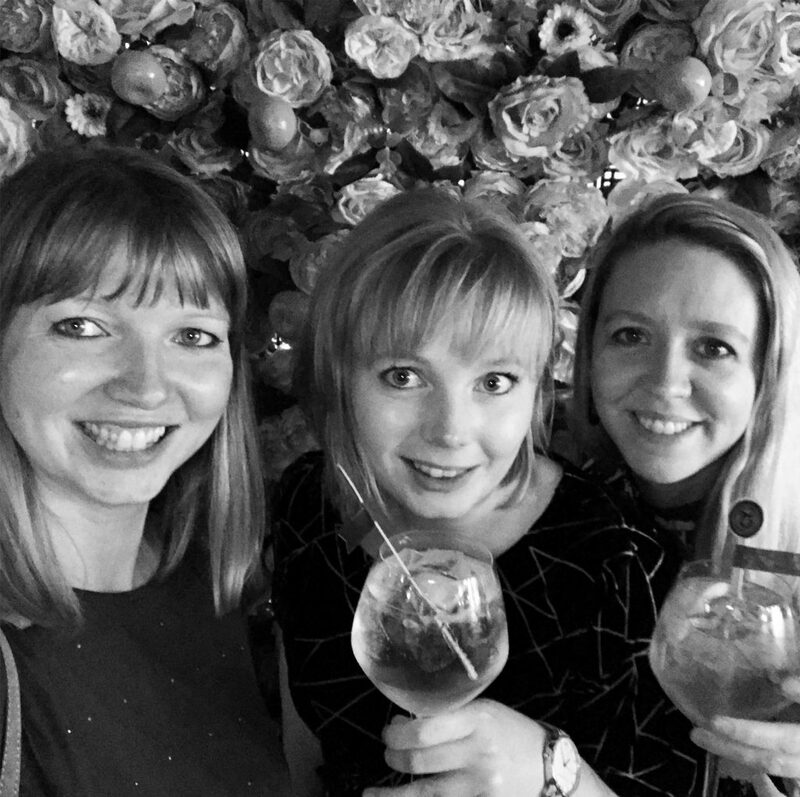 Charlotte and Kirsty explored the gin infusions bar and had Tanqueray Flor De Sevilla gin and mediterranean tonic. They then got to garnish their drinks with various fruits and herbs. Pretty! 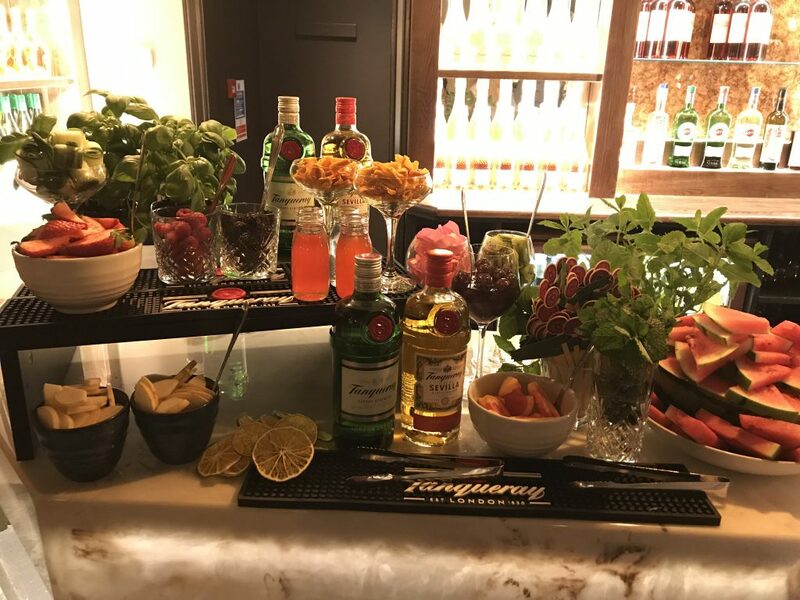 The gin bar with various fruits, herbs, liqueurs and decorations. After polishing off a delicious tray of canapés, we were shown to our table in the new conservatory. The staff were keen to tell us that the roof was automatic and was “learning” to respond correctly to the weather so that it would open and close at the right time/temperature. Technology eh! 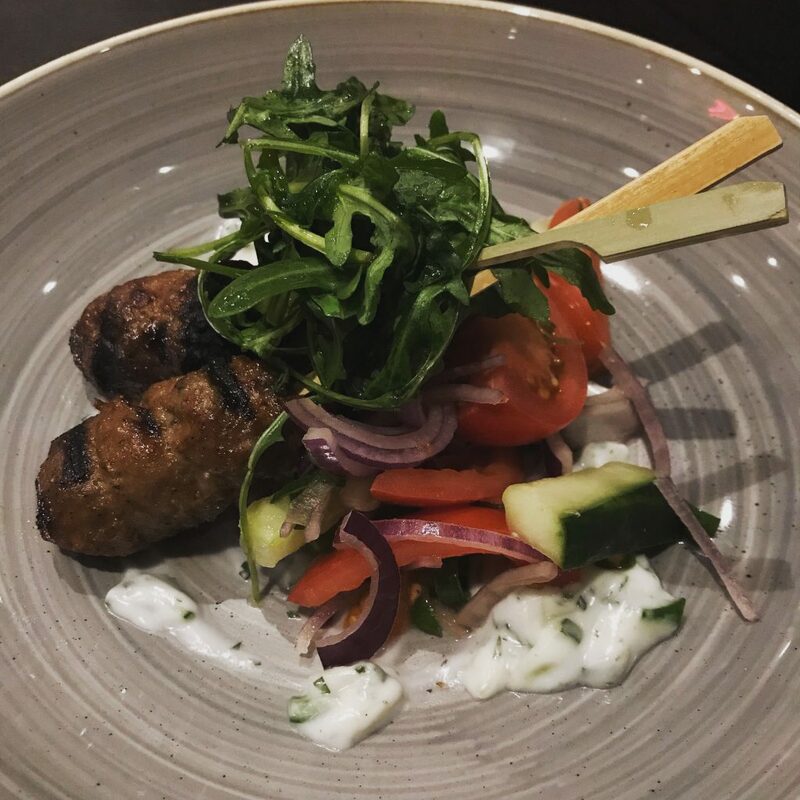 We chose our food off the A La Carte menu, although it was good to see that the Deer Park has a dedicated vegan menu too (accredited by the Vegan Society). 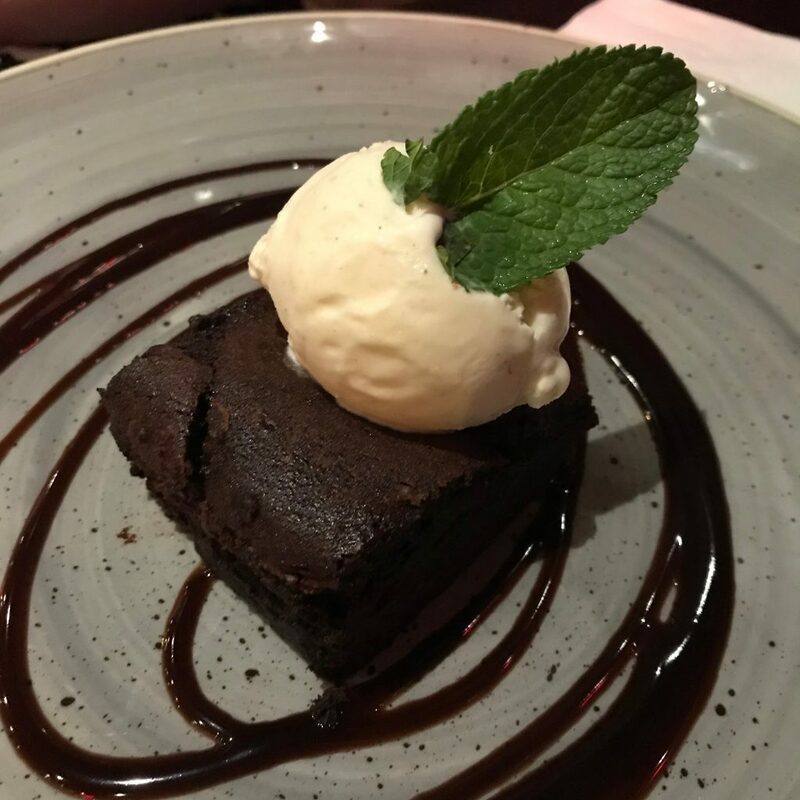 I’m not normally that bothered by starters – I prefer to save some room for pudding – but I would have happily had anything from their list. I was very happy to see scallops on the menu. I luuuuuurve scallops! I was going to have some as a starter, but then saw you could have slow-cooked pork belly and cured pork cheek with scallops as a main, and that sounded even better. Between the three of us we had olives, scallops (for Kirsty, not me) and lamb kofta for starters. All were delicious and beautifully presented. 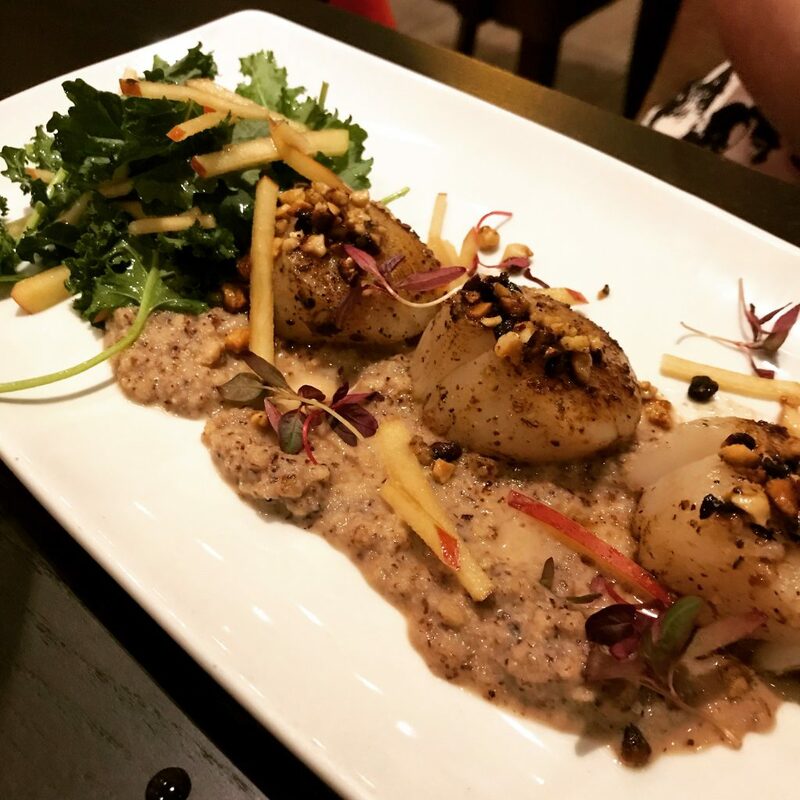 Good sized scallops, served on a bed of walnut *something*. We can’t remember what, but it was nice! 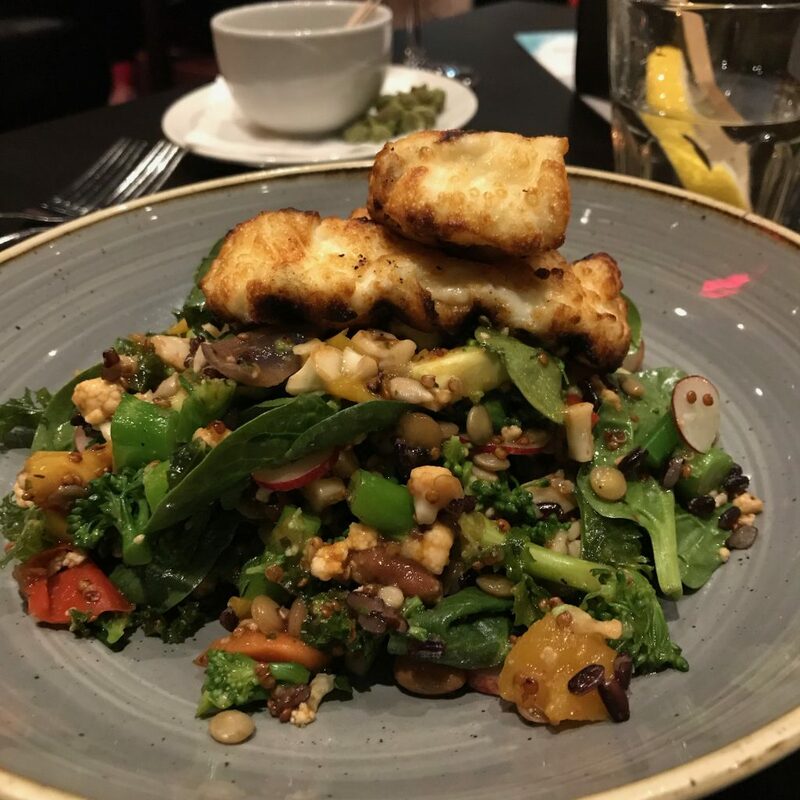 For our main courses we had: a wholefood salad (with a couple of very generous slabs of grilled halloumi! 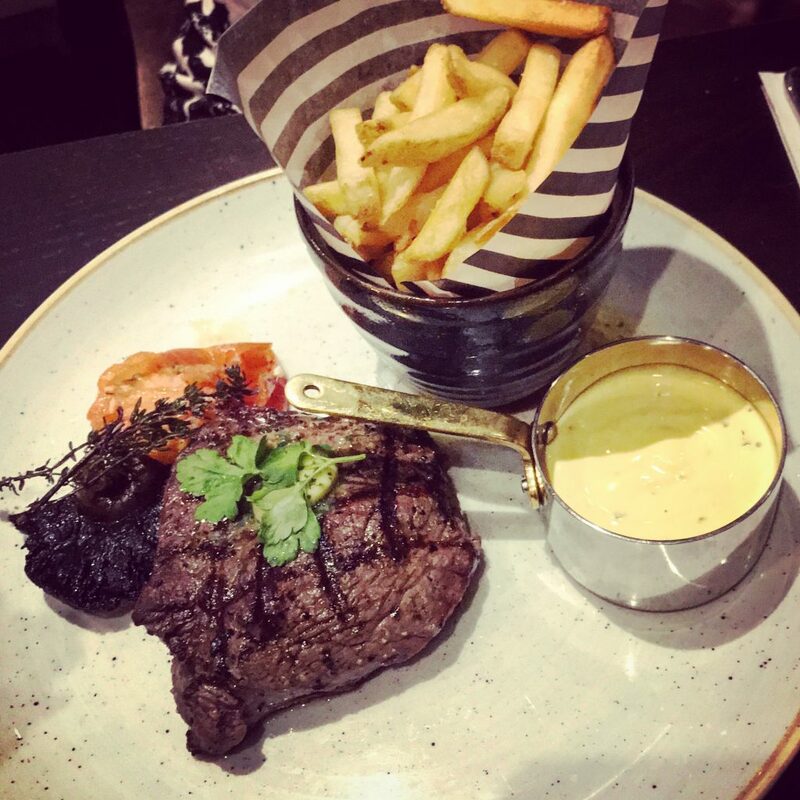 ), rump steak with a Béarnaise sauce (which Kirsty said was excellent), and the pork belly dish. Mine came with the best potato dauphinoise I’ve ever had – it was just a dense stack of potato loveliness. 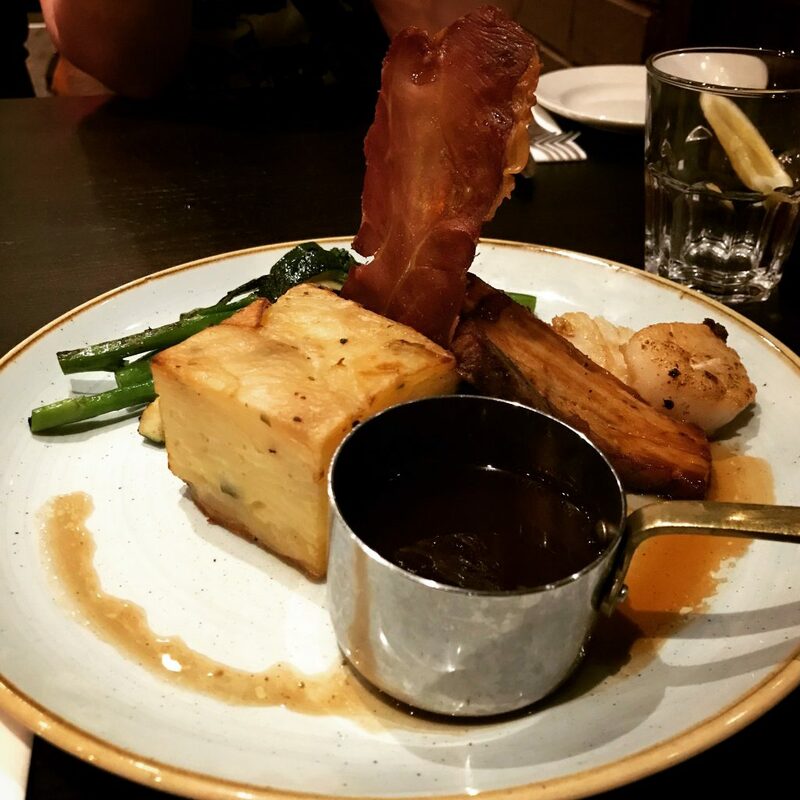 Slow-cooked pork belly, cured pork cheek and scallops with potato dauphinoise, crispy prosciutto, green vegetables and jus. My picture does not do this dish justice! 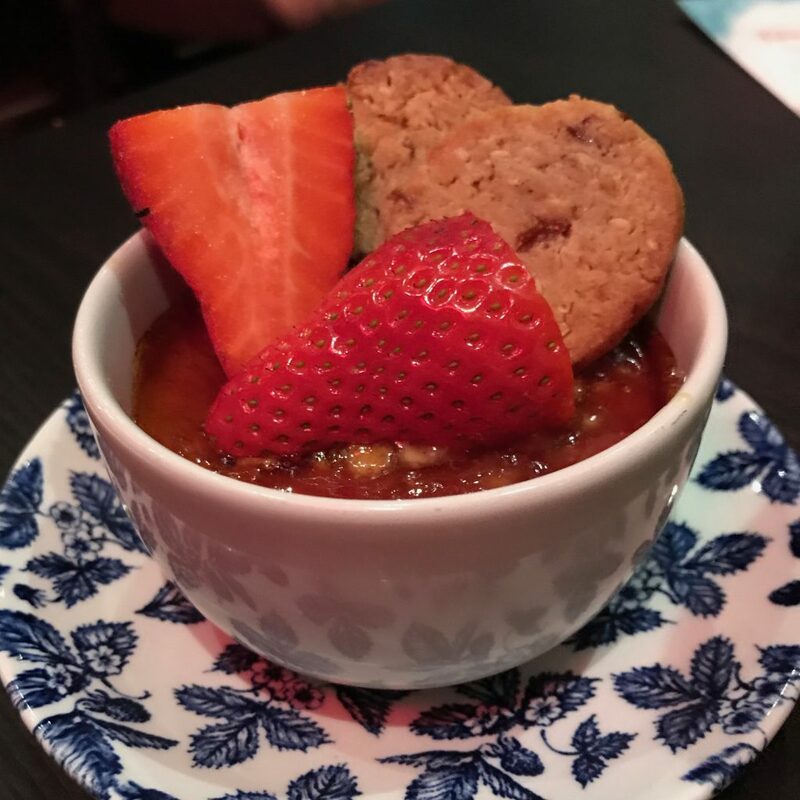 Despite saying we had no room for dessert, we put the readers of the blog first and each had a pudding so we could give a full review (we’re just that dedicated.) We had: warm chocolate brownie with bourbon vanilla ice-cream, creme brûlée, and Eton mess. The Eton mess was lovely but I did have a major sugar rush/crash after eating it! Luckily a peppermint tea soon sorted me out. Vanilla creme brûlée served with home-baked sultana & oatmeal biscuits. Look how cute! 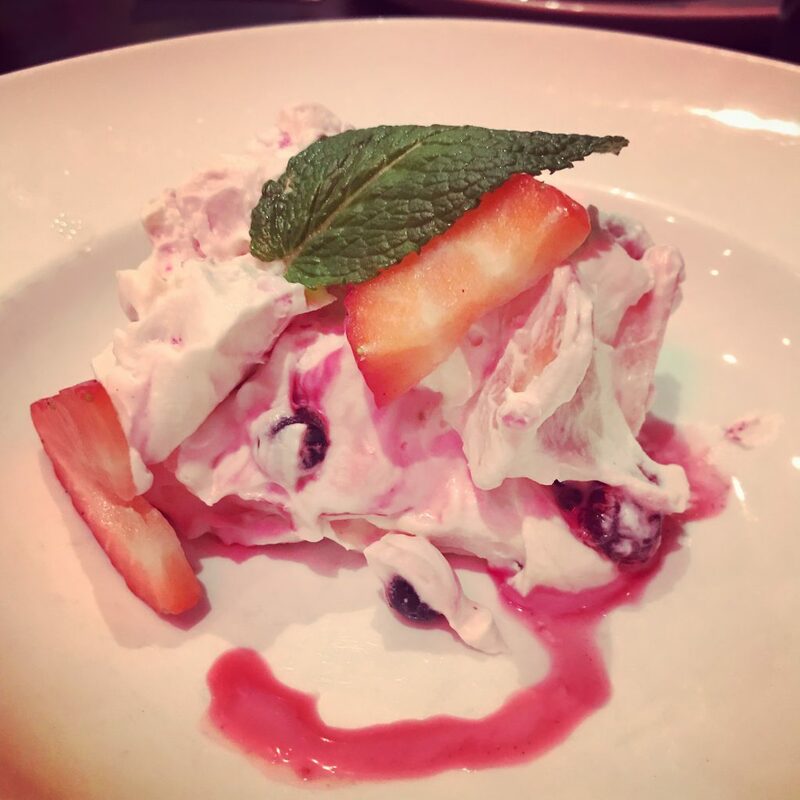 Eton mess. Oh so naughty but nice. The whole evening was excellent. It was a night just for press/bloggers, so the team obviously pulled out all the stops, but I would hope that the service continues to be that good every night. The Deer Park is just around the corner from Tropical World and Roundhay Park so you could go for lunch / tea after a walk around the park or visit to the meerkats and make a full day out of it. The decor is excellent, the staff were polite and attentive, the drinks list is extensive, and the food was gorgeous. I can’t wait to go back! 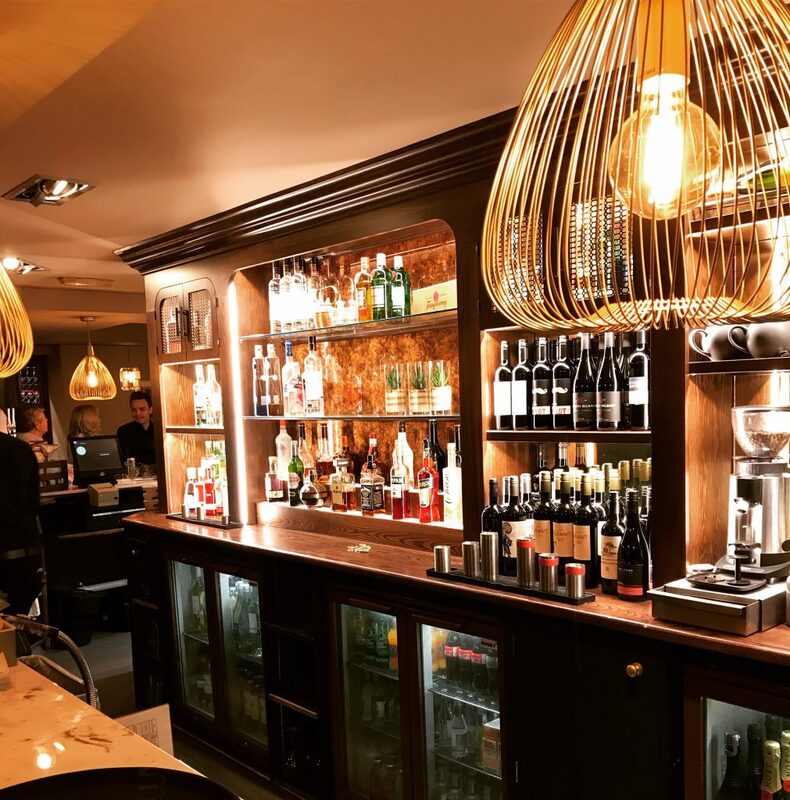 Thank you to The Deer Park Pub & Restaurant for providing me and two friends with free drinks and a three course meal each in exchange for a review on Loving Leeds Blog. 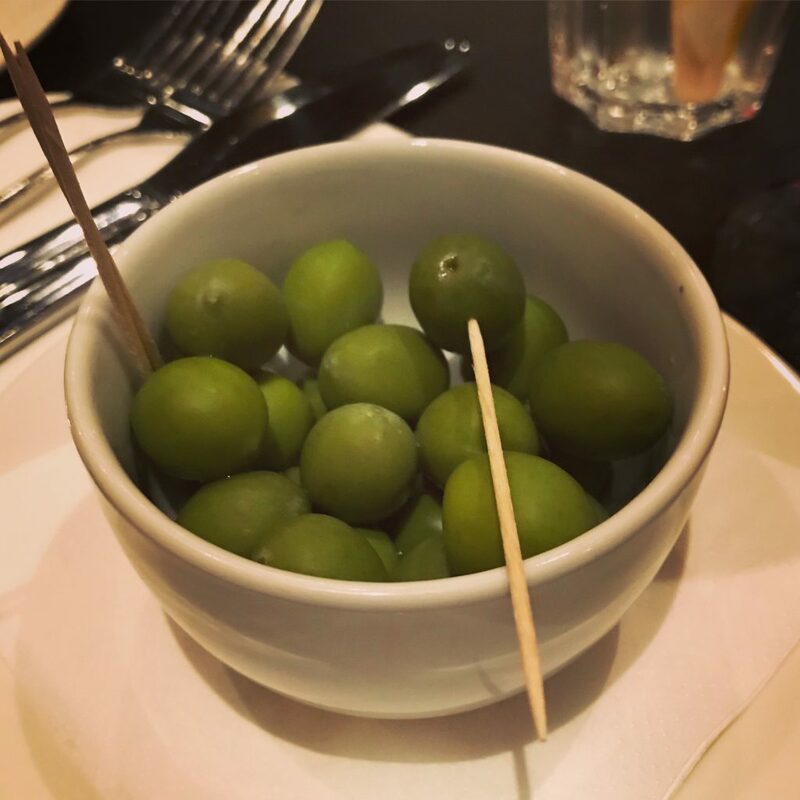 Although the food and drink were complimentary, it did not affect my opinion of the restaurant and/or food; all the comments in this post are honest and my own. In other words, despite being well pleased to get freebies, I thought it was all reet good and would definitely recommend to friends and family!